I basically got banned, and even on my last purchase. They haven't provided me any support or what so ever about that purchase. How can Re-purchase Ensage? Sorry, if you not got reply in your ticket, there is no solutions. We had very bad expirience, with unbaning chargebackers. They did chargeback again after months of using Ensage.As i said, we here not have do any questions related to payments, we have payment team what doing this questions in tickets. Yep, that's what you said last time. Sadly the payment team. Never responded. So my only question is. If I create a new account. Purchase a new subscription. Will that be loaded, or will be the same status on the last one I purchased. As for the payment department, where ever you guys at. Its almost 2 months with no response. I hope your doing all good. 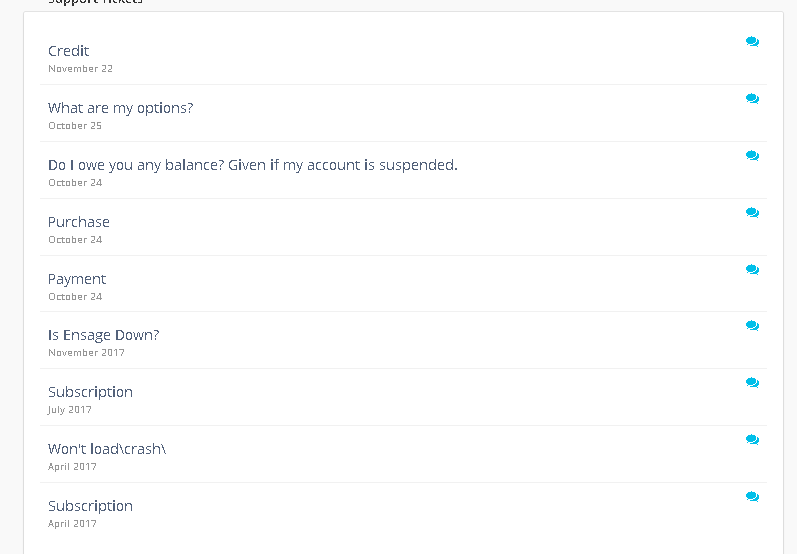 I think support shouldn't even answer people who have done chargeback after using ensage for free! I totally agree, But I didn't use the app for free, If they could review my record. I been a customer for almost a year, if I wasn't more. Yep, given not all case is the same. They didn't even bother to answer even one ticket. Seems like it might be time to move on then m8..
nobody can help you but the support team.